The kids from The Great Hamster Massacre are back—and on a rabbit rescue mission!Joe has gone to live with his dad, leaving behind his beloved pet rabbit. Anna and Suzanne try to look after it for him, but when the rabbit becomes ill, they're convinced it's because it's missing Joe. Now Joe is sick too. The girls are certain that Joe and the rabbit will die unless they are reunited soon...But can Anna and Tom and Suzanne pull off The Great Rabbit Rescue in time? 9781442420649 | Beach Lane Books, December 6, 2011, cover price $12.99 | About this edition: The kids from The Great Hamster Massacre are back—and on a rabbit rescue mission! While spending Christmas in New York City with his father and new stepfamily, twelve-year Lucas meets a rebellious agent of the secret Annoyance Bureau, which exists to control or eliminate all sources of annoyance in the modern world. 9780689849039 | Atheneum, October 1, 2002, cover price $16.95 | About this edition: While spending Christmas in New York City with his father and new stepfamily, twelve-year Lucas meets a rebellious agent of the secret Annoyance Bureau, which exists to control or eliminate all sources of annoyance in the modern world. Through a series of letters a boy, his parents, and others discuss Camp Wannaleavee, the camp bully, and Plantzilla, who has been forbidden to come but misses his caretaker and arrives in time to become the camp hero. 9780689868030 | 1 edition (Simon & Schuster, March 28, 2006), cover price $17.99 | About this edition: Through a series of letters a boy, his parents, and others discuss Camp Wannaleavee, the camp bully, and Plantzilla, who has been forbidden to come but misses his caretaker and arrives in time to become the camp hero. Bella wants to write poems. Bean wants to go for a walk. Bella wants to write poems. Bean wants Bella to look at her cute toes. Could these two best friends be more different? But as Bean's attempt to coax Bella away from her notepad become ever more over the top, Bella finds her poetry taking unexpected twists. You might be a Bella or you could be a Bean - either way, this sweet, clever tale will remind you there is perfect poetry to mismatched friends. 9780689856167 | Atheneum, February 10, 2009, cover price $17.99 | About this edition: Bella wants to write poems. When Hartley Blackstone, the famous Broadway icon, chooses Orion Academy to hold auditions for one lucky guy and girl to attend his summer theater program in New York City, Bryan Stark knows he has to bring his A-game for this big break. 9781416933922 | Simon Pulse, October 2, 2007, cover price $12.99 | About this edition: When Hartley Blackstone, the famous Broadway icon, chooses Orion Academy to hold auditions for one lucky guy and girl to attend his summer theater program in New York City, Bryan Stark knows he has to bring his A-game for this big break. A cat goes conspicuously missing in this hilarious pet mystery from the team that brought you The Great Hamster Massacre and The Great Rabbit Rescue.This is a story about Tom, and the Cat Lady, and all the things that happened after the New Cat got kidnapped.... The New Cat keeps bringing dead things into the house as gifts for Tom. When he brings in the head of the Vicar’s most expensive Koi carp and the Vicar asks Mum for a ton of money for a replacement, Anna’s Dad is so cross he locks the New Cat out of the house. Tom argues for the cat to be let back in, but by the time Dad finally concedes, the New Cat has disappeared altogether. Anna, Suzanne and Tom are convinced he’s been kidnapped—but can they find out who is behind the Great Cat Conspiracy? 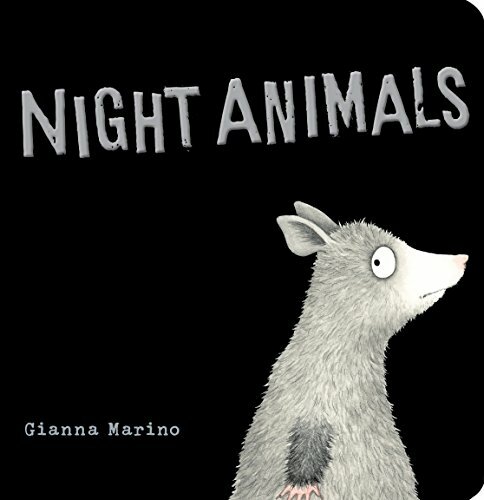 9781442445130 | Reprint edition (Simon & Schuster, May 1, 2012), cover price $12.99 | About this edition: A cat goes conspicuously missing in this hilarious pet mystery from the team that brought you The Great Hamster Massacre and The Great Rabbit Rescue. Fanny and Blue may not be the smartest dogs, and they may not be the best-behaved dogs, but they are definitely the most-loved dogs. John Lithgow's bouncy song - in the book and on the accompanying CD - is based on his own family's two dogs. And Robert Neubecker's eye-popping illustrations capture the joy of all things dog. 9781416958819 | Rei/com edition (Simon & Schuster, October 21, 2008), cover price $17.99 | About this edition: Fanny and Blue may not be the smartest dogs, and they may not be the best-behaved dogs, but they are definitely the most-loved dogs. After escaping from the Urchin House Orphanage, Milton, age eleven, and his sister Chloe, age eight, settle into the empty house of a candy maker where they encounter a very sinister pumpkin patch. 9781416902744 | Simon & Schuster, November 30, 2006, cover price $15.95 | About this edition: After escaping from the Urchin House Orphanage, Milton, age eleven, and his sister Chloe, age eight, settle into the empty house of a candy maker where they encounter a very sinister pumpkin patch. At school, Olivia tells about her summer vacation and how, when she went to the circus and all the performers were out sick, she saved the day, becoming Olivia the Tattooed Lady, Olivia the Lion Tamer, and The Amazing Flying Olivia. 9780689829543 | Atheneum, October 1, 2001, cover price $18.99 | About this edition: At school, Olivia tells about her summer vacation and how, when she went to the circus and all the performers were out sick, she saved the day, becoming Olivia the Tattooed Lady, Olivia the Lion Tamer, and The Amazing Flying Olivia. Snuggle, snuggle. Time to rest. Nana joins us in her nest. There is no one like Nana in the whole wide world. She is the best. Nana knows how to take an ordinary afternoon and make it extra special! Nap time, story time, and playtime are transformed by fairies, dragons, dancing, and pretending -- and then mixing and fixing yummy, yummy fudge just like Nana and Mommy did not so many years ago.... Pulitzer Prize-winning author Toni Morrison and her son Slade tell a story of what really goes on when Nana is left in charge! 9781416983323 | Simon & Schuster, September 15, 2009, cover price $16.99 | About this edition: Snuggle, snuggle. While preparing for and going on vacation to Italy with her friends and family, food-loving English teenager Angelica deals with her unrequited love for Sydney, her fear of being seen in public in a bikini, and her worries that her mother might be havingan affair. Includes recipes.While on vacation in Italy with her friends and family, food-loving English teenager Angelica deals with her unrequited love for Sydney, her fear of being seen in a bikini, and worries that her mother might be having an affair. 9780689865503 | Simon & Schuster, December 20, 2005, cover price $14.95 | About this edition: While preparing for and going on vacation to Italy with her friends and family, food-loving English teenager Angelica deals with her unrequited love for Sydney, her fear of being seen in public in a bikini, and her worries that her mother might be havingan affair. Lara's friendship matchmaking days are over now that she has an Official Best Friend (OBF) in Tanya. But when when a new boy named Majur transfers to their grade and outplays Chris Martin, the school bully, on the soccer field, Chris's rule is suddenly over. Now alone and unable to make friends on his own, Chris turns to Lara Zany who can't resist the challenge. Finding Chris a friend isn't her only challenge-Lara must balance her new friendship with Tany and Emily, plus make sure Majur, a refugee from Sudan, fits in. Lara Zany has her work cut out for her in this charming sequel about finding true friends despite big differences. 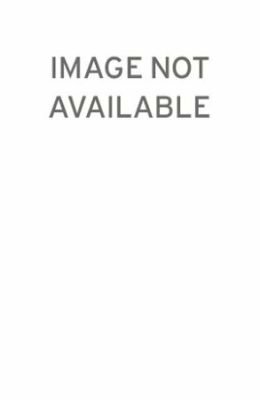 9780802734853 | Reprint edition (Walker & Co, August 6, 2013), cover price $16.99 | About this edition: Lara's friendship matchmaking days are over now that she has an Official Best Friend (OBF) in Tanya. Product Description: Join in the Arendelle birthday fun in this five-story collection celebrating the birthdays of Anna, Elsa, Kristoff, Olaf, and Sven! 9781484747452 | Disney Pr, July 19, 2016, cover price $12.99 | About this edition: Join in the Arendelle birthday fun in this five-story collection celebrating the birthdays of Anna, Elsa, Kristoff, Olaf, and Sven! 9780425288566 | Board book edition (Viking Childrens Books, September 5, 2017), cover price $7.99 | About this edition: A bedtime picture book favorite now available as an adorable board book! 9781509829927 | Pan Macmillan, January 1, 2004, cover price $11.00 | About this edition: The Giant of Jum is feeling a bit munchy. 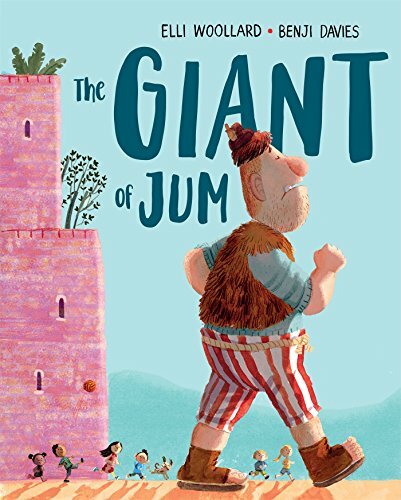 9781627795159 | Henry Holt Books for Young Readers, July 11, 2017, cover price $16.99 | About this edition: The Giant of Jum is feeling a bit munchy. 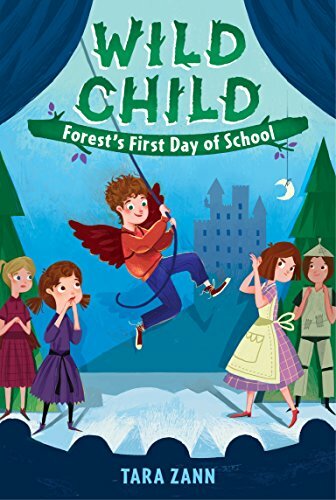 9781250103871, titled "Forestâs First Day of School" | Imprint, April 18, 2017, cover price $5.99 | About this edition: In the second book in this wildly funny chapter book series, a shy girl is force into the spotlight when a wild boy goes to school for the first time! 9780374379957 | Farrar Straus & Giroux, September 1, 2015, cover price $17.99 | About this edition: This fiery autobiographical novel captures a pivotal week or two in the life of fourteen-year-old Jack Gantos, as the author reveals the moment he began to slide off track as a kid who in just a few years would find himself locked up in a federal penitentiary for the crimes portrayed in the memoir Hole in My Life. 9781250090638 | Reprint edition (Square Fish, April 18, 2017), cover price $9.99 | About this edition: This fiery autobiographical novel captures a pivotal week or two in the life of fourteen-year-old Jack Gantos, when he began to slide off track as a kid who in just a few years would find himself locked up in a federal penitentiary for the crimes portrayed in the memoir Hole in My Life. 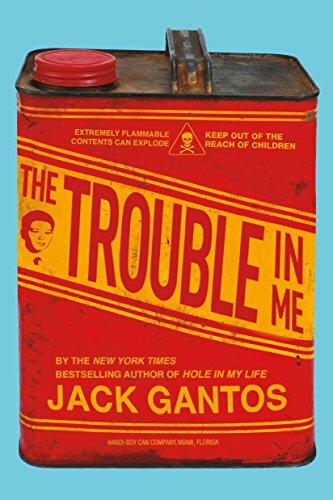 9781427264138 | Unabridged edition (Macmillan Young Listeners, September 1, 2015), cover price $24.99 | About this edition: This fiery autobiographical novel captures a pivotal week or two in the life of fourteen-year-old Jack Gantos, as the author reveals the moment he began to slide off track as a kid who in just a few years would find himself locked up in a federal penitentiary for the crimes portrayed in the memoir Hole in My Life.